In April 1956, at the height of the Cold War, Khrushchev and Bulganin, leaders of the Soviet Union, are in Britain on an official visit. Chief Inspector Troy of Scotland Yard is assigned to be Khrushchev's bodyguard and to spy on him. Soon after, a Royal Navy diver is found dead and mutilated beyond recognition in Portsmouth Harbor. Troy embarks on an investigation that takes him to the rotten heart of MI6, to the distant days of his childhood, and into the dangerous arms of an old flame. 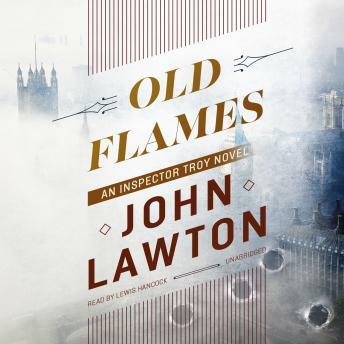 Brilliantly evoking the intrigue of the Cold War and 1950s London, Old Flames is a thrilling adventure of intrigue and suspense.